The bestselling husband and wife team, artist Amy Zerner and author Monte Farber, bring fresh revelations and original psychological perceptions about each astrological sun sign in this beautifully illustrated guide. Their easy-to-understand descriptions of the distinctive attributes of the twelve zodiac signs will provide clear, penetrating and useful insights into your personality and those you care about. 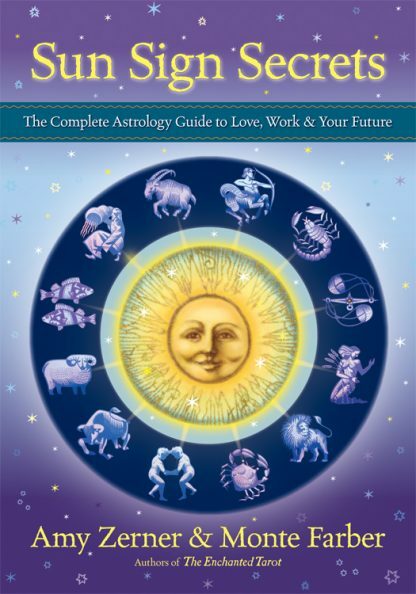 Farber offers an ancient history of astrology and its uses, setting the stage for an in-depth description of each sign. Amy Zerner�s exquisite fabric creations and painting exude her profound intuition and deep connection with archetypal stories. Amy and her husband, Monte Farber, have created The Enchanted World of Amy Zerner and Monte Farber that have helped millions on their spiritual paths. Listen to Monte Farber and Amy Zerner on the Weiser Books Radio Hour!